Well done. It looks absolutely brilliant. Here’s hoping ‘Infamous’ makes it to Manchester in 2014! I am so loving this. It reminds me of a photograph I’ve seen called ‘The Nightmare Chair’, with more than a hint of old attic rooms. A broken psyche perhaps? 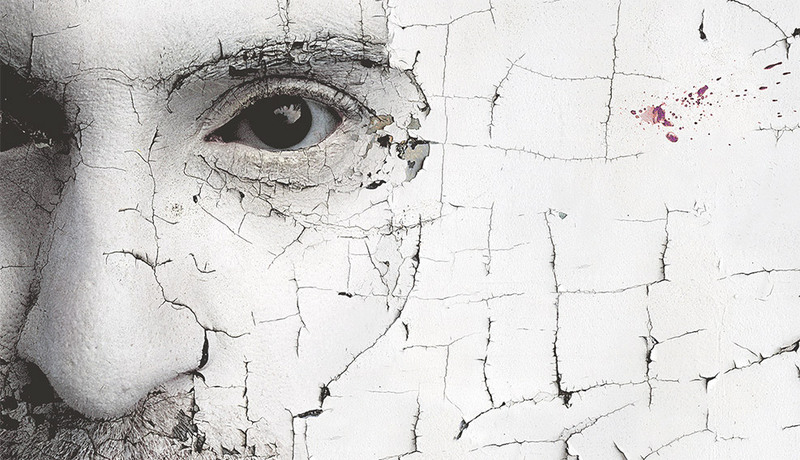 A real stark and chilling feeling almost emanates from the poster. I can’t wait till this becomes available in the store. Wow, this should be most excellent. Awesome poster. Going by previous blogposts, this isn’t the first time Derren’s been plastered whilst on tour! But seriously I’m liking this one. 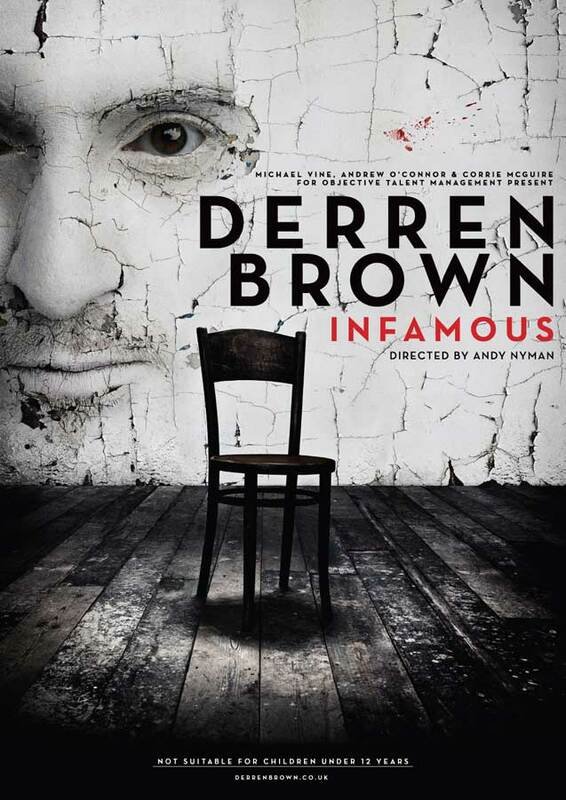 Derren Brown you are a genius. I have a question if you do read this….is it possible to make whatever hypnotic state you put a person under, last longer than just the period of time you are present. Example- you tell someone,when they see a banana ,they instantly feel ill,and it sticks with that person for longer than it should. Looks like the cover for a Mo Hayder novel. I’m a huge skeptic, but I’ve always WANTED to believe, and I do believe that what Derren does is real, and I’ve always wanted to be a participant of a mentalist/hypnotist, but Derren fascinates me beyond any others. I live in the United States and probably won’t get a chance to come to the UK to see any of his shows there… does Derren ever come to the US? Thanks! This is certainly my favourite poster of all those of Derren’s shows. Simply fantastic. The splash of blood (if that’s what it is) above the text is intriguing. I hoper there will be more DVD/TV material also. I am a really huge fan but can’t really afford a trip to UK for a show. Love this new poster, your eyes do all the work for you. Even though I am still very sceptical you always intrigue me and the way you help people is big credit due to you. Hhhhmmmmm, wonder who the sitter will be ? I watch Derren’s shows when ever they are on tv. Really want to go see this one in person. Hope â€˜Infamousâ€™ comes to wales this year. Any chance of Brighton dates soon or anywhere closer? We’d love to see you here! By the way, I share the above poster’s frustration with sites selling tickets for Â£80, can’t you put a cap on how many they can buy, or have photos on the tickets like Glastonbury Festival did to stop touts profiteering from fans whilst excluding those who can’t afford to pay over the odds?